Nannielou Reier Hepburn Dieter Conklin, a pioneer of early American radio astronomy and of research in the structure of the interstellar medium, died in Seattle on 16 November 2014. Born in Springfield, Illinois, in 1926, she studied mathematics at Goucher College. There she was inspired by a course in astronomy taught in the fall of 1946 by Helen Dodson, who provided a model of a passionate, adventurous, successful and independent woman engaged in research in a field that captivated Conklin. At Dodson’s suggestion, during the summers of 1947 and 1948 Conklin held brief fellowships under Margaret Harwood at the Maria Mitchell Observatory in Nantucket, Massachusetts. After that she looked for a job in science, and found herself at the U.S. Coast and Geodetic Survey in the sort of routine data-entry position to which scientific women of that period were commonly restricted. She was able to seize an opportunity when John Hagen acquired a radio telescope at the Naval Research Laboratory with the intention of exploiting recently acquired wartime experience of radar. He needed someone with knowledge of astronomy to use the telescope and Conklin stepped into that role. Her 1952 paper on solar outbursts at 8.5mm was the first formally published radio astronomy research by an American woman. In 1955 she began studies for her doctorate at Harvard, and her 1958 dissertation (from Radcliffe, because Harvard did not give doctorate degrees to women at that time) on the nearby spiral galaxy M33, with data from Harvard’s new 60 foot radio telescope, is the first PhD dissertation by a woman using her own radio astronomy data. In 1965 she moved to the Radio Astronomy Laboratory at University of California Berkeley. Over the course of her impressive career at Harvard and Berkeley, she pioneered studies of neutral hydrogen in nearby galaxies that are members of the local group, and of the structure of the interstellar medium in the Milky Way and other galaxies. She also played a key role in early discoveries and investigations of interstellar masers. Conklin’s professional achievements, remarkable in themselves, are even more impressive when considered in the context of her personal life. Her family background was unstable and she indicated that the physical sciences provided a beautiful, predictable security that stood in contrast to the complexities she found in human relationships. Gender was one unavoidable issue: In 1954, women made up just 3% of physicists and astronomers, and were almost always paid significantly less than men. Conklin faced both overt and covert prejudice against women scientists and noted the huge impact that strong female role models such as Helen Dodson and Cecilia Payne-Gaposchkin had on her confidence and determination. Two early marriages were troubled and left her trying to balance single parenting of her two deeply loved daughters, Amy and Mary, with the schedule and demands of research. In 1960 Conklin was diagnosed with multiple sclerosis, struggling to varying degrees thereafter with fatigue, disability and pain. She found happiness in her personal life upon marrying Garret Conklin in 1968. 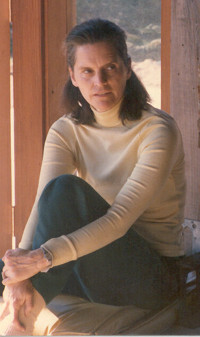 Realizing that the extensive travel required to do the observations and experiments that interested her would become increasingly difficult, Conklin took early retirement from Berkeley in fall 1977. She and her husband moved to Menorca, Spain, and later to Vermont and then Seattle. Conklin maintained contacts with colleagues from the University of California, Berkeley and the National Radio Astronomy Observatory. Conklin continued to follow research in her area of interest, and published three final papers in 2009 (“Interstellar Clouds by Searchlight”), 2010 (“Sub-parsec Structure of Interstellar H2CO Clouds”), and April 2014 (“Study of Interstellar Molecular Clouds Using Formaldehyde Absorption”). The 2009 and 2010 publications are single author papers in the Astronomical Journal. The publication of 2014 appeared in the Astrophysical Journal with three co-authors. In 2001 Conklin wrote an essay about highlights of her work from 1946-1947, and in 2006 the National Radio Astronomy Observatory published her autobiography, a more detailed account of her personal and professional life. Conklin is survived by two daughters, Amy Wray Hepburn of Burien, WA, Aleemna K. Wraye (Mary) of Austin, TX, and by five step-children, Carroll Conklin Eagles of Bedford, MA, Grace Conklin Bodle of Pt. Richmond, CA, Earle Conklin of Hayward, CA, Alice Conklin Margraf of Grass Valley, CA, and Mike Conklin of Danville, CA. Her husband, Garret Conklin, and a step-son, Garret Conklin Jr., predeceased her. . Her family is grateful for the wonderful care provided by Kelly Loveland of Lynwood, WA and her "team," which allowed Nan to continue to live independently after the death of her husband, Garret. Contributions in Nan's honor may be sent to Maria Mitchell Association, 4 Vestal St., Nantucket, MA 02554, and should specify "Nan Dieter Conklin and Maria Mitchell Observatory" in the memo line.